Listed at no.125 on the Men’s World Rankings earlier this year in March, now at no.64; Korea’s Lim Jonghoon is one of the most improved players on the international scene in recent months; it was a fact he underlined on Thursday 15th June in the final qualification round of the Men’s Singles event at Seamaster 2017 ITTF World Tour Platinum Lion Japan Open in Tokyo. He caused the biggest upset of the round by overcoming the host nation’s Yuto Muramatsu, presently listed at no.21 in the global order; impressively the 20 year old emerged successful in five games (11-8, 5-11, 11-8, 11-7, 11-9). 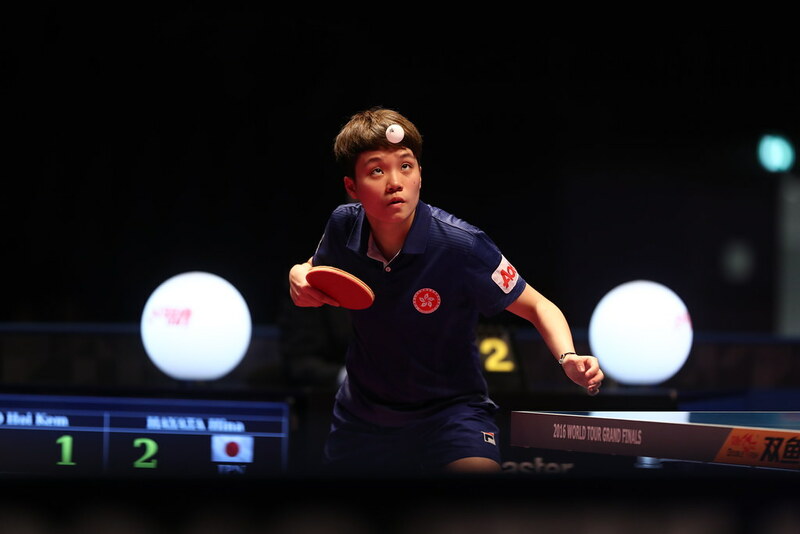 Disappointment for Japan and there was further disappointment for the host country with the defeat of 13 year old Tomokazu Harimoto; he was overpowered by China’s Liang Jingkun, a player who impressed in the 2016 Chinese Super League but has yet to make his mark internationally. In similar manner to Lim Jonghoon, Liang Jingkun prevailed in five games (11-2, 13-11, 14-16, 11-6, 11-8). Currently on the Men’s World Rankings, Tomokazu Harimoto is at no.39, Liang Jinkun at no.41. Defeat for Tomokazu Harimoto but for Japan there was more reason to smile than to be depressed; Tonin Ryuzaki, Takuya Jin, both players with no current world ranking upset the odds as did Kazuhiro Yoshimura. Listed at no.127 on the present order of merit, Kazuhiro Yoshimura beat Belgium’s Cédric Nuytinck, named at no.106 (15-13, 12-10, 11-7, 10-12, 1-11, 11-9); Tonin Ryuzaki overcame Chinese Taipei’s Chiang Hung-Chieh (11-6, 11-8, 12-10, 11-4), Takuya Jin defeated Germany’s Steffen Mengel (11-8, 6-11, 12-10, 11-9, 11-8). Presently on the Men’s World Rankings, Chiang Hung-Chieh is at no.114, Steffen Mengel at no.65. Defeat for Germany contrary to status; that was also the situation for Patrick Franziska. Named at no.50 on the merit order, he experienced defeat at the hands of Egypt’s Omar Assar, listed at no.58 (8-11, 11-8, 13-11, 8-11, 11-9, 11-7). Two German defeats but to balance matters there were three German wins. Bastian Steger, the highest rated player on duty in the Men’s Singles qualification event, beat Korea’s Park Jeongwoo (12-10, 8-11, 6-11, 11-6, 8-11, 11-3, 11-1); Ruwen Filus accounted for Austria’s Andreas Levenko (11-9, 11-4, 11-6, 11-6), whilst Ricardo Walther brought the round to a close by overcoming Japan’s Masataka Morizono (11-9, 11-9, 11-9, 5-11, 11-6). Success for Bastian Steger, with the exception of Yuto Muramatsu, there was also success for the remaining leading names. Sweden’s Mattias Karlsson overcame Korea’s Kim Minseok (9-11, 11-13, 11-8, 11-4, 12-12, 12-10); Japan’s Maharu Yoshimura ended the hopes of Canada’s Eugene Wang (11-7, 15-13, 9-11, 11-5, 7-11, 11-7). Play in the main draw commences on Friday 16th June.